All professionals at Lake Park Dental maintain the highest levels of accreditation and pursue ongoing education to stay abreast of the latest trends in the medical field. Read on to learn more about our staff's experience and training. 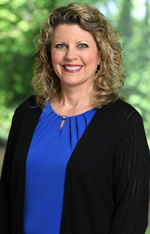 Originally from a suburb of Dayton Ohio, Carla has lived in the Atlanta area for more than 25 years. She has worked with this delightful merged practice for over 18 years. Carla is knowledgeable in insurance benefits, treatment plans and assists her patients with financial options to meet their needs. She enjoys working with her wonderful patients and genuinely cares about each one. In her spare time, Carla enjoys spending time with her son, golfing, spending time outdoors and ballroom dancing. 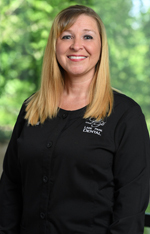 Amanda has been a part of the Lake Park Dental team since 2015. She has been in the dental field for over 16 years. Amanda enjoys being the first person to greet you at our amazing office; she is committed to ensuring each patient is provided with exceptional dental care and customer service. In her free time Amanda enjoys spending time with family and friends, shopping, kayaking, traveling and attending Atlanta United, Falcons or Braves games! Ashley graduated from West Central Technical College with an Associate Degree in Dental Hygiene. She has practiced hygiene for over 18 years. 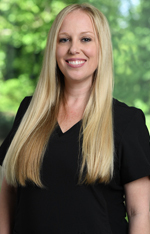 As a hygienist, Ashley is very involved with maintaining optimal patient dental health. She enjoys educating her patients, so that every person leaves with a healthy mouth and beautiful smile. Patient success is the most rewarding part of her career. Ashley has lived in Georgia most of her life. She loves spending time with her family and friends. Georgia football season is her favorite time of the year! 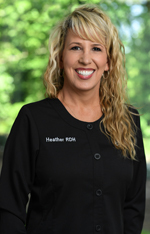 Heather is a registered Dental Hygienist. She went to Georgia Southern College in 1988. 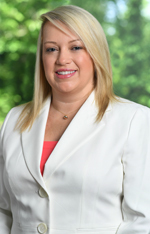 Heather then attended DeKalb College from which she graduated in 1993 with an Associate Degree in Dental Hygiene. Heather enjoys getting to know all of her patients and educating them in oral health. Her goal is to motivate her patients to have better oral hygiene which leads to a healthy life. Heather grew up in East Cobb. She has a son and two daughters. When Heather is not working she loves spending time with her children, family, and working in her yard. Mandi is Dr. Angela Lu’s main dental assistant. She’s been in dentistry for 17 years and loves it. She has been with Lake Park Dental for the last 3 years. Mandi enjoys informing her patients on their treatment and does what is needed to ensure their comfort before and during treatment. Her goal is for every patient to look forward coming back to the dentist. Mandi’s been married for 8 years and has a blended family. She and her husband love to travel since they’re empty nesters. 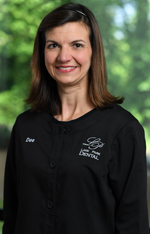 Dee has been in the dental field for almost 10 years. She graduated from Medix Technical School in November of 2008 with a Dental Assistant Expanded Duties Certificate. She loves working in the dental field and interacting with her patients. She cannot see herself doing anything else. Dee has lived in Georgia all her life, but have seen the whole Western and Eastern Coast. She has a handsome 4 year old son that is starting pre-k this August. 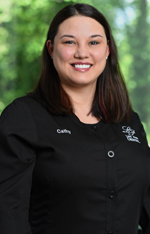 Cathy has been in the dental field over 10 years. She graduated Dr. Ericson's Dental Institute in 2006. Cathy loves positive interaction between herself and the patients. Her top priority is for the patients to have an enjoyable experience while in our office. Cathy and her daughter, Ava enjoy knitting and walking their three dogs. She loves volunteering at Best Friends and also fosters dogs for Angels Among Us.